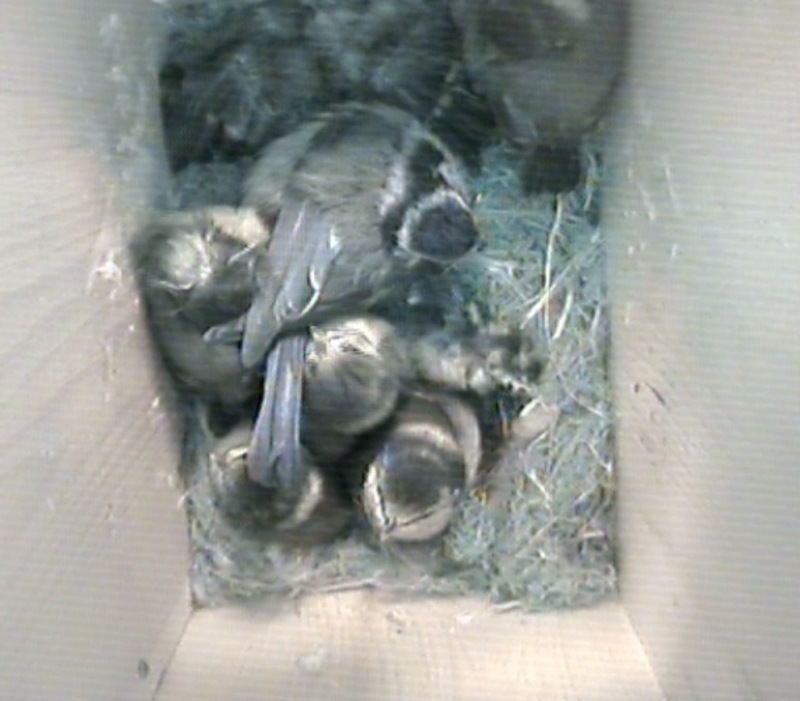 There are only five babies surviving in the box today. 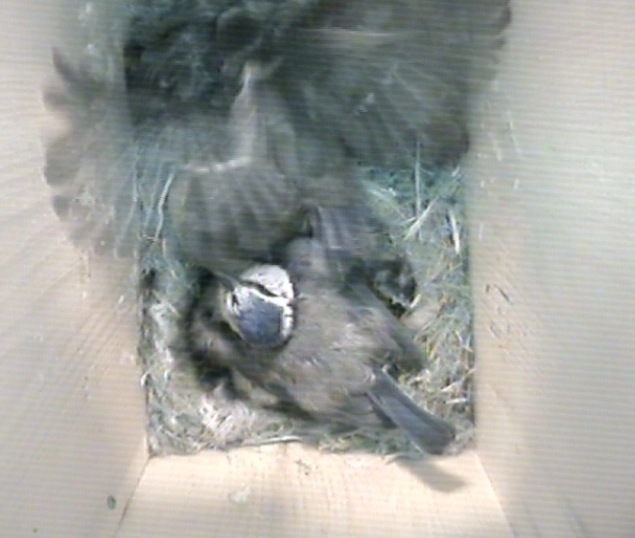 There are two dead babies in the nest. Unusually the parents have not removed them. 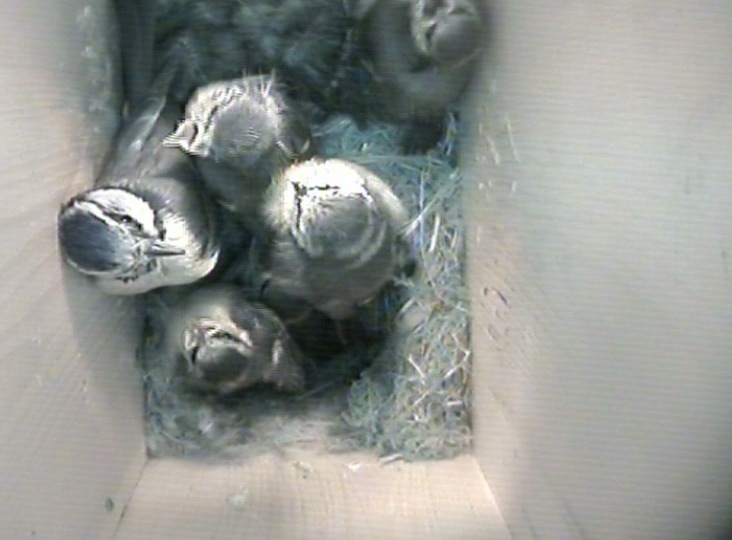 It is to be hoped the five chicks will fledge soon as the conditions in the box cannot be very good. 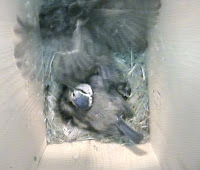 They are exercising their wings and doing a lot of preening so it will not be long before they go.